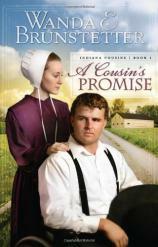 Willkumm to the lush and lavish Amish country where Wanda Brunstetter's new romantic series, Indiana Cousins, begins with A COUSIN’S PROMISE. Loraine Miller finds herself torn between the love of two good men --- Wayne Lambright who, crippled after a tragic accident, feels himself unworthy of her love; and Jake Beechy who, after having abandoned her to explore the English world, returns to renew their courtship. To which man will she pledge her love and loyalty --- for better or worse, until death they do part? 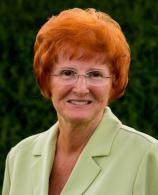 A COUSIN’S PROMISE: Indiana Cousins, Book 1 © Copyright 2011 by Wanda E. Brunstetter. Reprinted with permission by Barbour Books. All rights reserved.